It is no secret that my family loves snacks. I mean, I literally run a blog about snacks and other tasty treats. 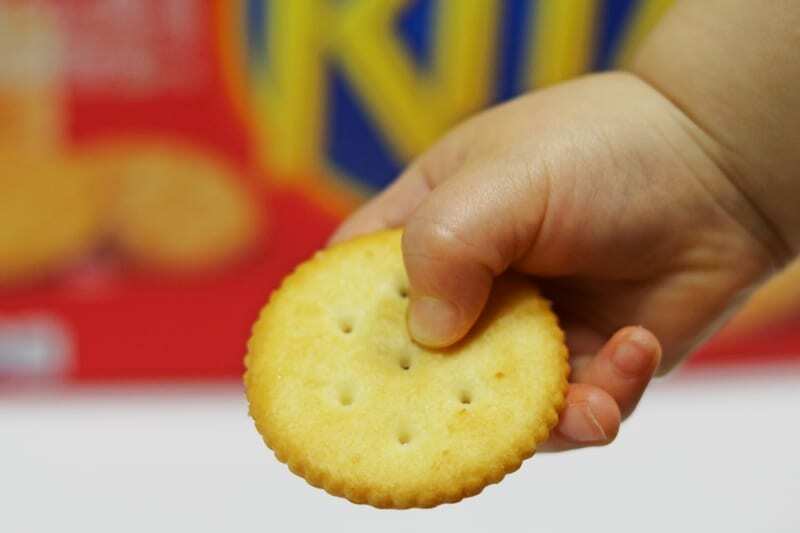 I grew up on snacks like RITZ, OREOs, and CHIPS Ahoy!, and now I enjoying buying them for my own family. 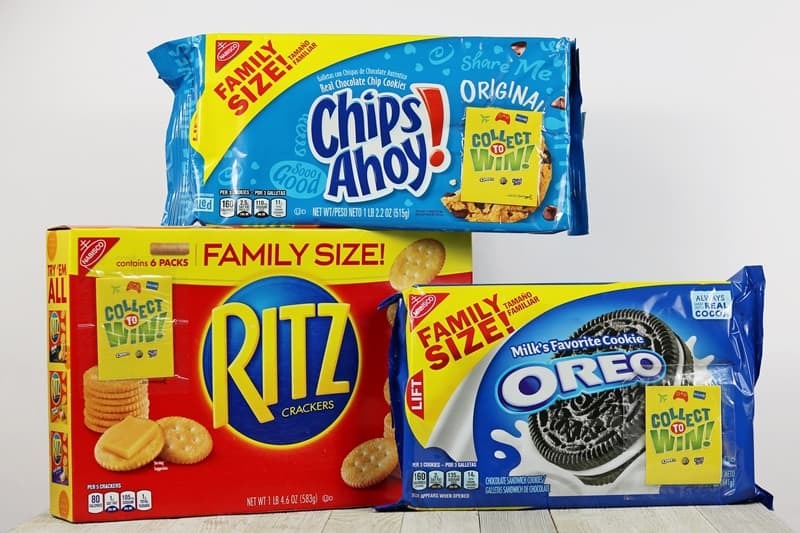 With our son now beginning to join us in our snacking, I have been buying the family size packages of snacks at Walmart. 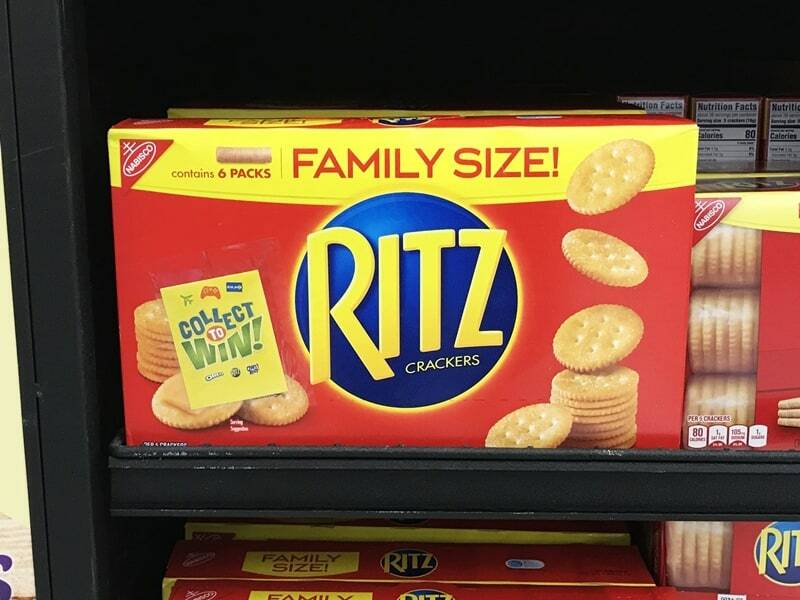 We have found the large size packages perfect for our family. 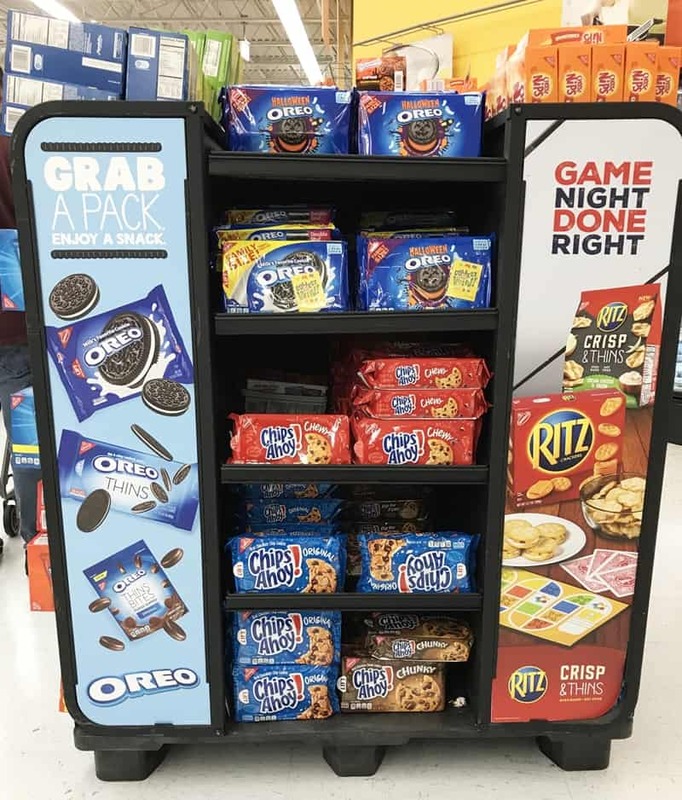 While shopping for groceries this week at Walmart I spotted a display of family size RITZ, OREOs, and CHIPS Ahoy! with Collect To Win game pieces on them. How fun! 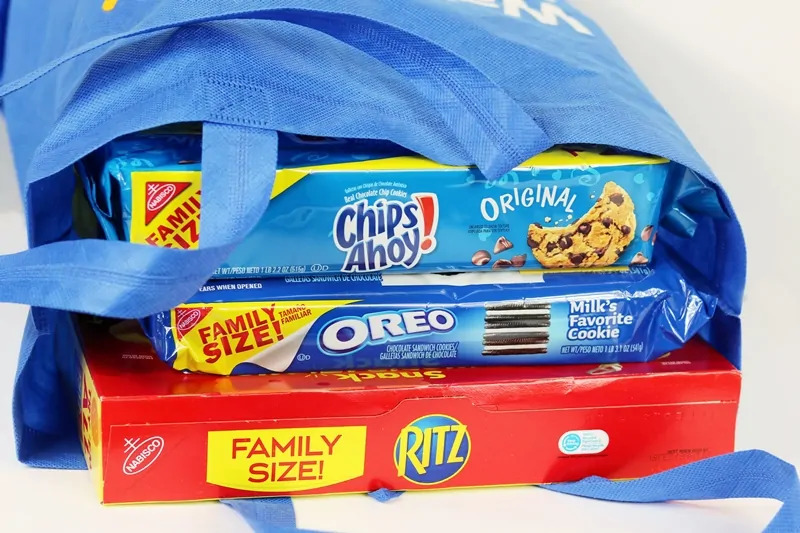 I picked up family size packages of RITZ, OREOs, and CHIPS Ahoy! and brought them home to check out the Collect To Win booklets. Enter for a chance to win 1 of 7 Walmart Gift Cards at the bottom of the post. 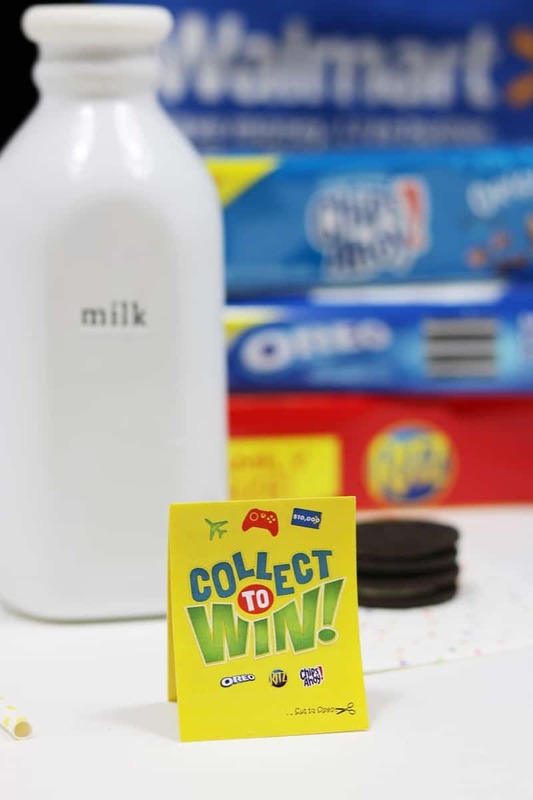 But first, let me tell you a bit more about Collect To Win. Okay, the truth is that I enjoy the snacks more. But still — I do love a chance to win prizes. Especially when one of the prizes is a $10,000 Walmart gift card! That would make for one heck of a shopping spree for our family! 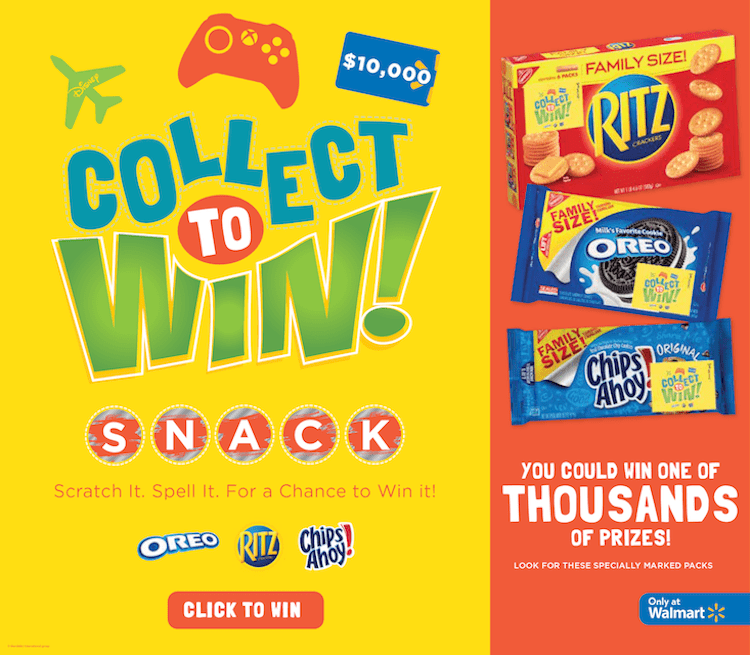 Collect to Win booklets can be found in-store at Walmart on specially marked packages of Family Size RITZ, OREO, and CHIPS Ahoy! * (while supplies last). When you get your goodies home, carefully peel the booklet from the front of the package, and unfold the booklet. 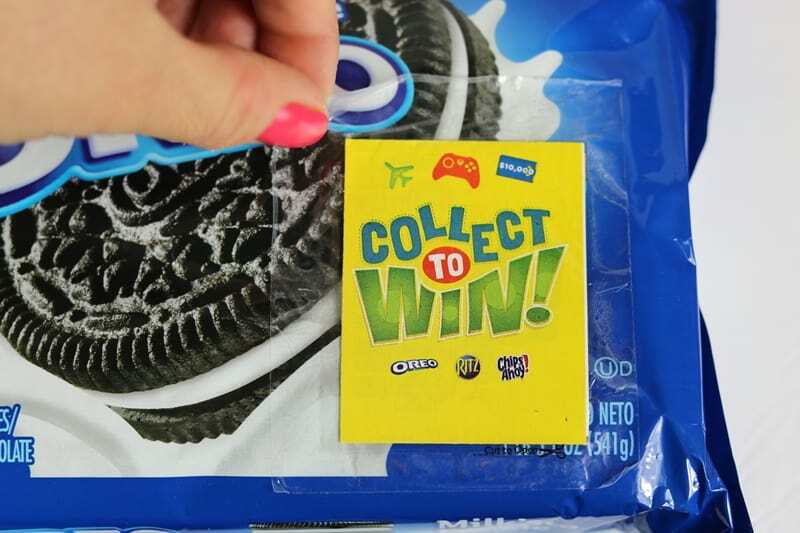 You will find that each Collect to Win booklet contains two letters, which have to be scratched off to be revealed. So grab a coin and scratch away. 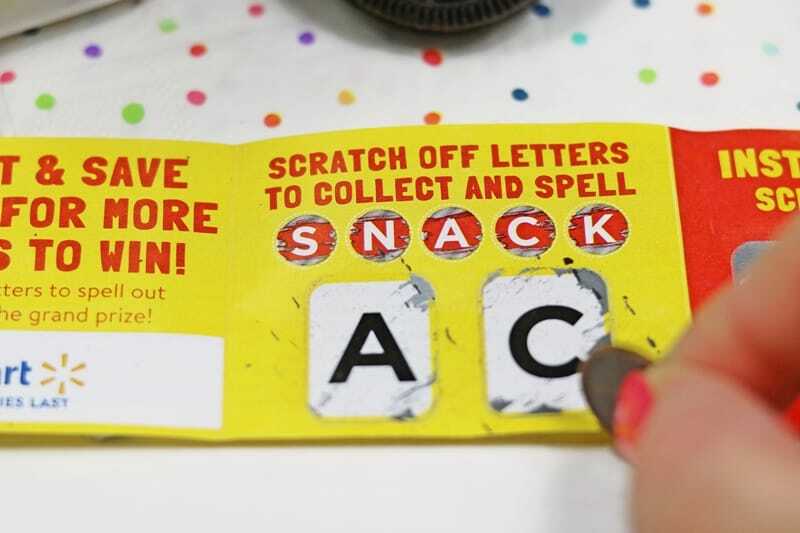 Collect the letters S-N-A-C-K to win the grand prize! 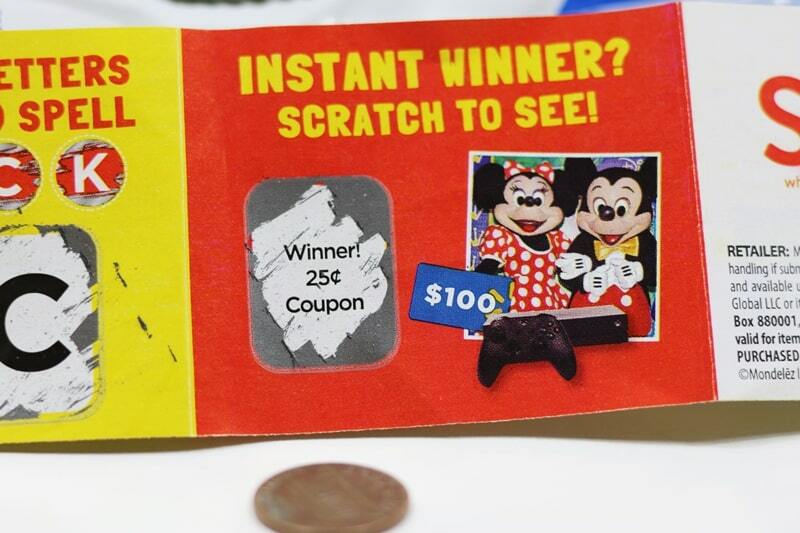 But that is not all — there is an instant winner scratch off option in each booklet as well where everyone wins! Grand Prize: a $10,000 Walmart Gift Card! * NO PURCHASE NECESSARY. To enter without making a purchase, see Official Rules. Open to residents of the 50 U.S (and D.C), 18 and older. Sponsor, related entities, their families and those living in the same household are ineligible. Ends 11:59 pm ET 11/30/18. Void where prohibited. 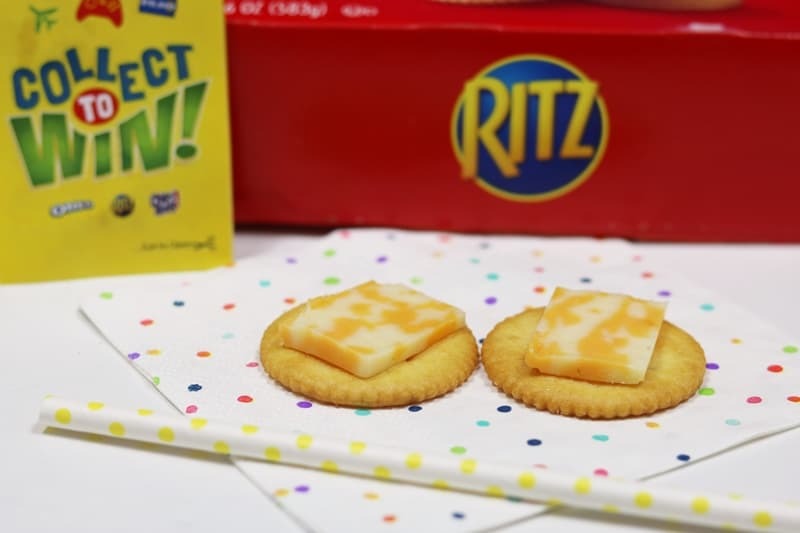 Remember, the specially marked packages are available in-store at Walmart only, so head to your nearest Walmart location today! 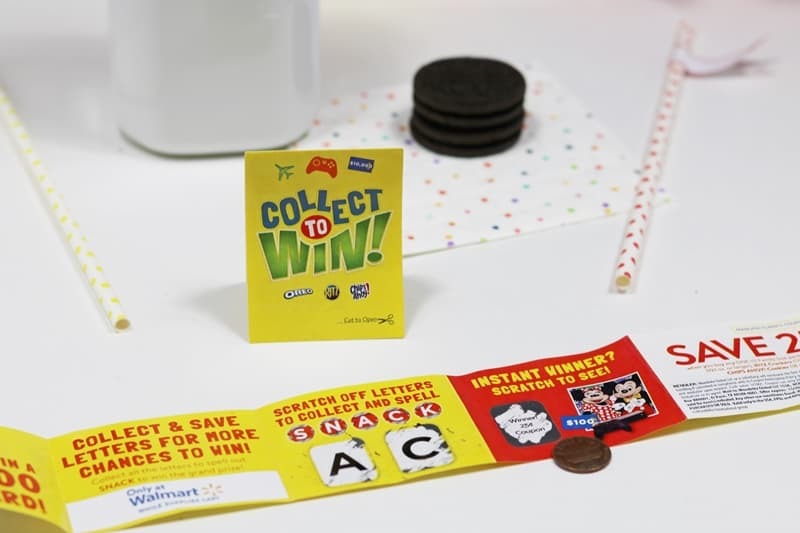 Make sure you check that the family size package you are grabbing has the Collect to Win booklet on the front of it, as shown in the photo above. 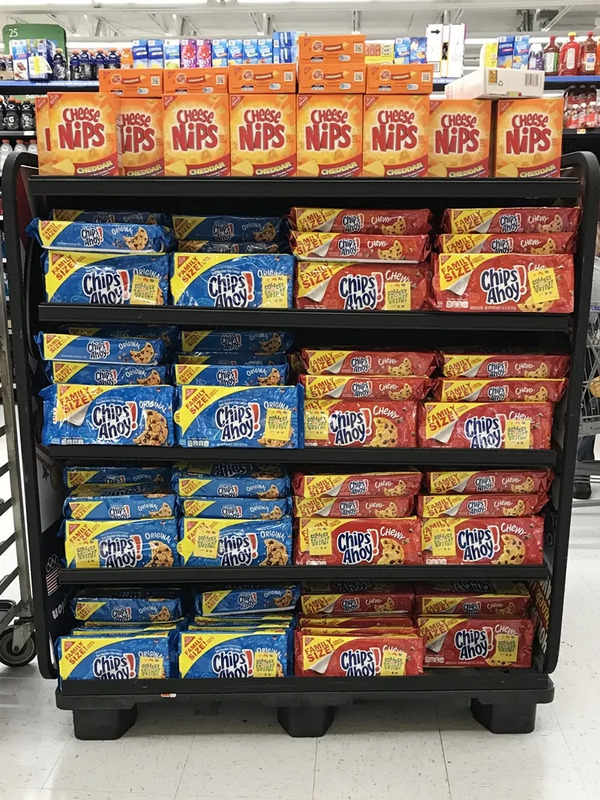 Our Walmart location had a large display featuring Family Size packs of OREOs, RITZ, and CHIPS Ahoy! 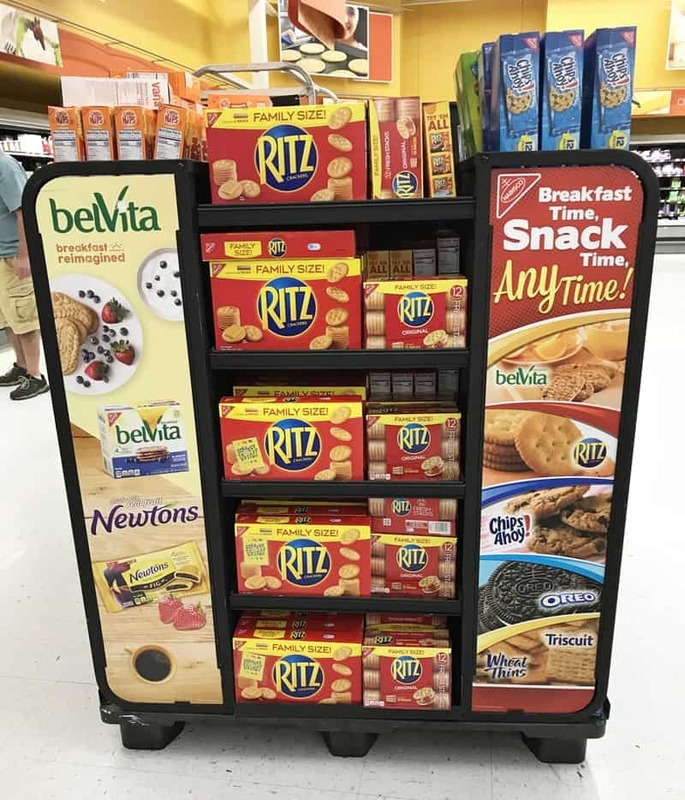 I loved that all 3 of the snacks were featured in the display, because it made it easy for me to grab one package of each kind. 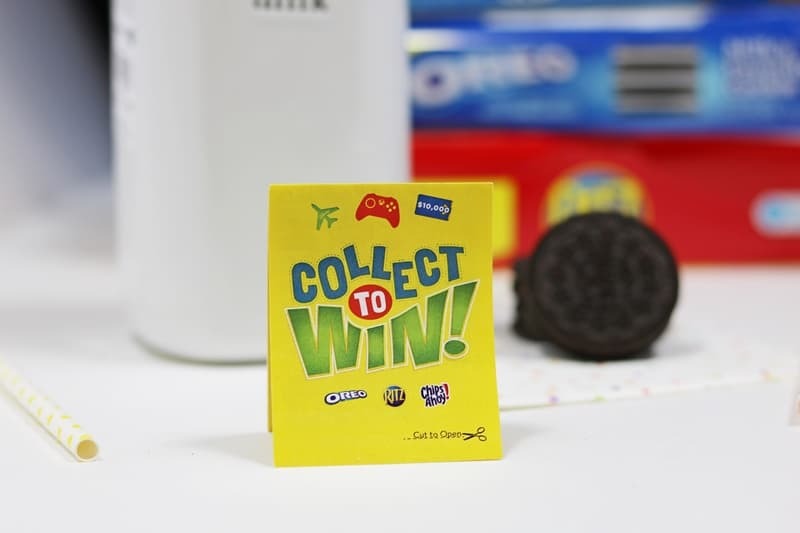 Learn more about Collect to Win here. Good luck on your quest to collect all the letters! Enter to Win a $200 or $50 Walmart Gift Card! Use the widget below to enter the Collect To Win Sweepstakes for a chance to win.